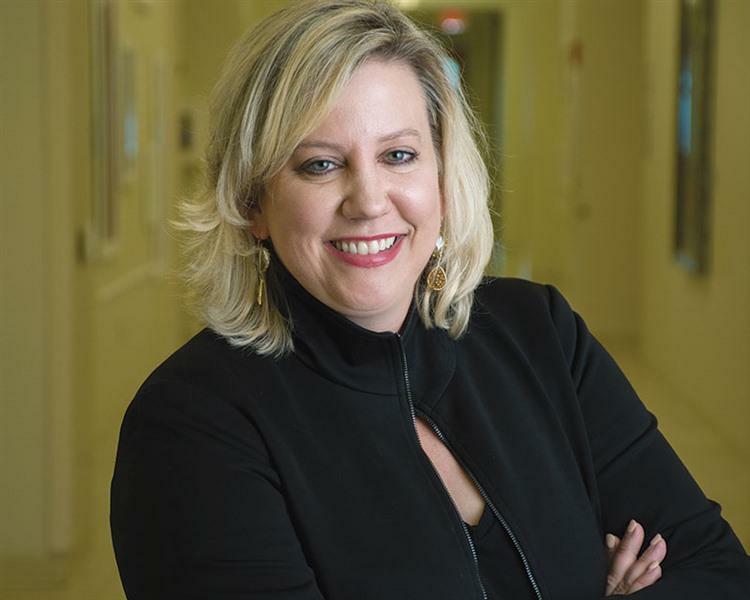 Originally from Arkansas, Sara Burnett, director of community and public relations at Le Bonheur Children’s Hospital, made her way to Washington, D.C., and East Tennessee before firmly planting her roots here in Memphis. Once her husband completed law school in Knoxville, the pair headed back to his hometown to settle down, and Burnett says she quickly realized what a tight-knit community Memphis is. The advantage of the city’s small-town, hospitable attitude worked fast for Burnett. Her first networking event landed her a job with an organization that ended up being the perfect fit. “I went to work there in ’99 and have been working here ever since. The funny thing is that the woman I met at the reception is now my boss,” she adds with a laugh. Burnett’s warm personality and friendly nature make it easy to understand why communications is her field of choice. Her emphasis on strong professional relationships has made her network of trusted colleagues one to envy, and they’re never more than a phone call away. She credits current CEO Meri Armor’s mission for Le Bonheur as the fuel that drives not only her success but the hospital’s as well. She also notes a distinct shift in the hospital’s needs during her time there. With children not being admitted for minor illnesses like they might have been years ago, the hospital has been led to a focus on preventive care. While preventive measures are a logical correlation between keeping children healthy and shortening hospital stays, it’s not always that simple when it comes to the funding of these nontraditional programs. No matter the challenge at hand, Burnett insists it’s all been more than worth it. Sara Burnett is a graduate of New Memphis’ Fellows program. Learn more at newmemphis.org. *This article originally ran in The Memphis Daily News.